The Arduino Ethernet Shield connects your Arduino to the internet in mere minutes. Just plug this module onto your Arduino board, connect it to your network with an RJ45 cable (not included) and follow a few simple instructions to start controlling your world through the internet. 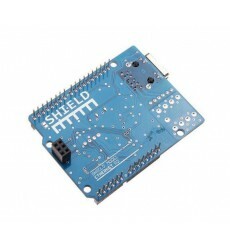 The sensor shield v5.0 allows you to hoop up the sensors directly to Arduino Uno without the use of the breadboard. 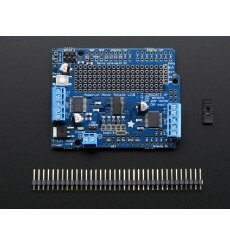 It allows plug and play connection to various modules like sensors, servos, relays, potentiometers and more. The Arduino CNC Shield makes it easy to get your CNC projects up and running in a few hours. It uses opensource firmware on Arduino to control 4 stepper motors using 4 A4988 Stepper drivers,, with this shield and Arduino you can build all kinds of robotics or CNC projects including CNC routers,laser cutters and even pick&place machines. CNC shield V4 needs to work with Nano board. 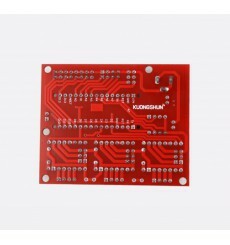 It can be used as driver expansion board for engraving machines and 3D printers. It has in total 3 channel slots for A4988 stepper motor driver modules (not included) for driving 3 channel of stepper motors. Created to simplify the set up and integration of all the different devices involved in the jjrobots projects.